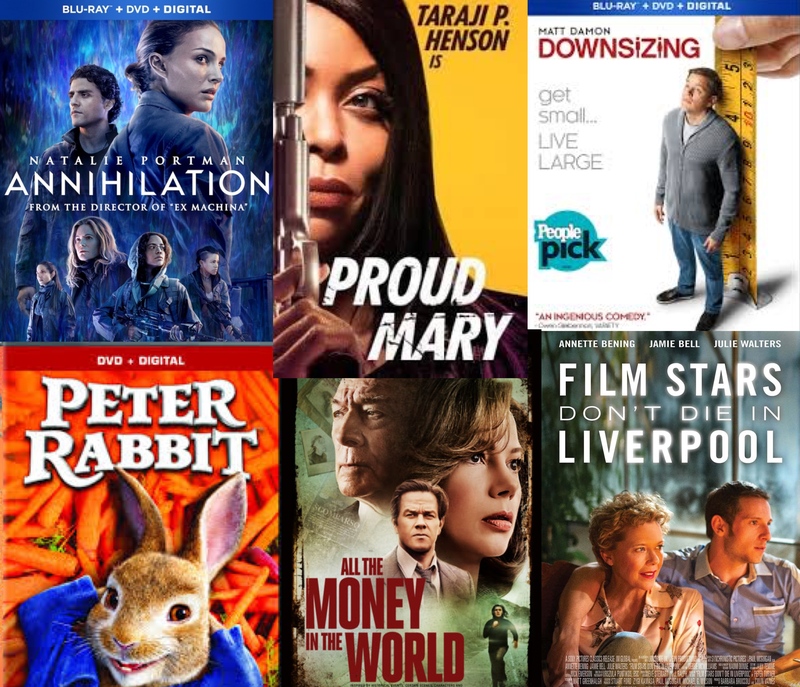 It’s time, once again, for the On DVD series featuring new releases from Paramount and Sony Home Entertainment. Go get this Blu-ray + DVD + Digital set right now. You ought to have seen this excellent female-led sci-fi adventure in theatres because it deserves as big a screen as possible but Alex Garland’s a great filmmaker whose story sense and casting eye are every bit as good as his visual flair so this thing will work on any screen. This Blu-ray + DVD + Digital set charmingly came with a cheeky brochure for Leisureland Estates. An underrated movie that married a big point with an enjoyable tone, Downsizing is a re-watchable, worthy piece of filmmaking totally worth owning. A solid, character-driven film completely worth owning on DVD, especially since this is the rare non-Blu-ray release that actually has a strong set of thoughtful, engaging special features like a great audio commentary. Why didn’t this movie hit? A bold, fun, Taraji P Henson-led action extravaganza totally worth having on Blu-ray + Digital. A good purchase because your kids will watch this Blu-ray + DVD+ Digital over and over and over until you want to smash it into pieces. This movie is total crap. The Blu-ray + Digital set has a featurette addressing the re-casting, which I honestly thought they’d ignore, but since the re-casting is literally the only interesting thing about this movie it’s a good thing they didn’t ignore it. This DVD + Digital release is adorable. Unremarkable but adorable. An idiotic movie gets celebrated as the arguably iconic piece of pop culture that it is in this excellent 2-disc Blu-ray + DVD + Digital set packed with top-notch special features including lots of audio commentary and a couple music videos. I feel like Grease gets a new re-release every two years and this anniversary set has very little in the way of new material that’s really all that worth it (there are some features but mostly recycled from other releases) but the movie is a classic and absolutely everyone should own it so, if you don’t have it already, let this be a good reminder that you should own a copy of Grease (and also Grease: Live because I’m still obsessed with Grease: Live, which is for some reason also available on DVD). Hell yeah, buy this, it’s quality scripted TV that didn’t get enough attention. I’d follow Ari Graynor anywhere. Robert and Michelle King have a style I really dig so, while the Good Wife universe lost 80% of its appeal for me when Josh Charles left (the other 20% was with Czuchry, who’s not in this spinoff), I’m glad this show exists and that it’s getting a DVD release even though it’s a streaming show (more on that in a moment). The release is in desperate need of better special features, though. No one cares about the Good Fight gag reel- we get it, Baranski’s a hoot! I personally think this Netflix drama is a little bit toxic but teenagers flipped for it an this set has some decent special features. I’m all for releasing streaming shows on DVD because I think tangible libraries are important for archival reasons. That said, not a lot of re-watch value on a mystery show. Only buy this if it’s your favourite. Now would Netflix please release some of their shows I actually liked (there are so many of them!)? This beautiful box set is probably the best TV release of the season on collectability alone. Fabulous packaging and great features (lots of top-notch Claire & Jamie content, including the actors’ screen test). You’re either collecting this or you’re not. Personally, I say buy a “Best of Classic Westerns” set and move on because one episode of Gunsmoke is every episode of Gunsmoke. But that’s just me, maybe you’re super into Gunsmoke. Or maybe you’re really into The Shannara Chronicles? I’m not. Decent special features on this DVD release, though.